If a spindle breaks down, what is your company’s plan of action? Is it the most practical and efficient way to deal with a down spindle? Spindles need maintenance at varying intervals, based on the length and design of their operation. Normal use of any machine will cause wear and tear, the spindle being the component that receives the majority of the wear. It is necessary for them to run at the right speeds and feeds to keep the wear minimal. Because of this, a good spindle program should take into consideration the specific operational information of each, individual spindle. Companies need to have a well-planned maintenance strategy in order to be successful compared to their competition. A faster and newer machine does not automatically mean that your company will keep the competitive edge. When a spindle breaks down, the company that manages their machine proactively will reduce downtime and expenses resulting in an increase of productivity. This will significantly boost your company ahead of your competitors. of performance comprised of three factors: asset availability, production, and quality level. 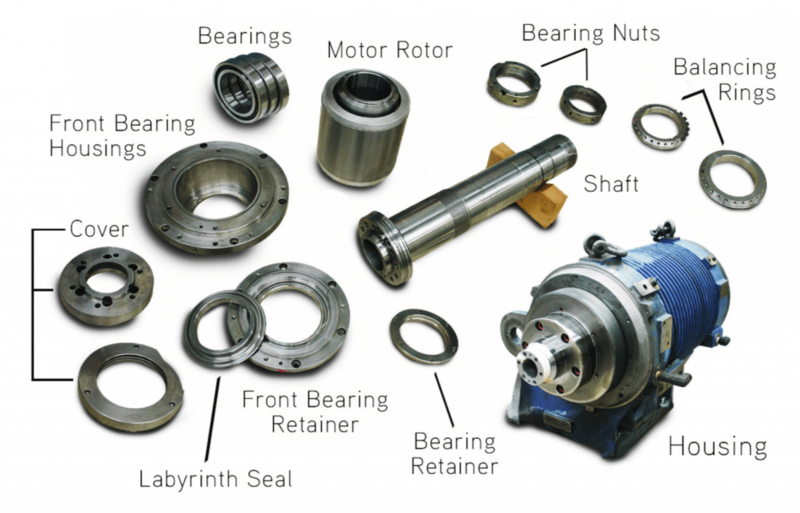 The following four programs display the different types of procedures used when a spindle goes down. These range from the most basic plan of action to a highly advanced plan. You can compare the emergency program to hitting the panic button. If an important spindle breaks down, the company will do whatever it takes to get that spindle repaired as soon as possible. No matter the expense, the company will have it shipped and serviced with the highest-priority. Repairing the spindle immediately reduces downtime, but the costs add up because of the urgency, making it less practical than other programs. Gilman Precision accommodates to this type of program by offering the option of a rush order service. The “first in, first out” program works as if there is no program at all. There are no precautions taken, such as scheduling routine maintenance checkups. Similar to the emergency program, if a spindle breaks down, it is simply taken in to be serviced. The difference is there is no urgency to fix it. This program may be impractical, especially if the spindle that is down is important. There is no priority put on it when being serviced which means it can take weeks or months before it is back up and running. This can put production behind, which can set your company back from your competitors. Routine maintenance checkups are performed when using the scheduled program. The checkups are scheduled based off the previous maintenance records. This program provides the spindle with enough attention to keep the spindle running in good operating condition. However, it does not take into consideration fluctuating hours of operation, environmental considerations, or whether or not it even needs to be serviced. The problem is the spindle could be running fine, but time and money may be lost because of unnecessary services. The spindle “hotel” program takes preventative measures by possessing more than one spindle that is exactly alike. The spare spindle acts as a replacement in case the main spindle breaks down. The spare is kept either on site or at a designated repair facility. The positive to this is that downtime remains low. If the spindle breaks down the spare replaces it and the production does not have to stop to wait for it to be fixed. The downside to this program is that the amount of capital sitting in the “hotel” could outweigh the convenience of the program. 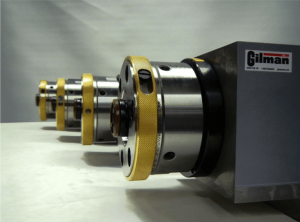 If this is the type of program your company follows, Gilman Precision provides a Spindle R&R service that allows any spindle to be housed for up to 12 months after being repaired. The most important consideration to factor in when deciding on a program is the goals of the plant. The program followed needs to align with the company’s objectives. 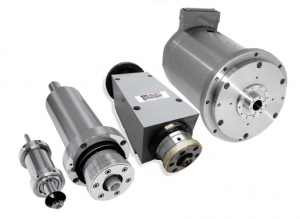 Deciding what spindle service program is the best fit for your company should not only align with the goals of the company, but should be individualized to all your spindles. Monitoring your spindles can save it from unpredictable damage and allow it to maximize its production. Reducing unnecessary downtime and costs can help push you ahead of the competition. If you are questioning what you are going to do when a spindle breaks down, it is time to implement a strategy that will optimize your overall equipment performance.